Getting good results starts with an honest evaluation of your DIY skills. New flooring is a good-vibe home improvement project that makes your whole house feel better. And if you’re thinking of DIYing your flooring installation, thumbs up to you. You’ll save about half what it would cost for a pro to do the job, and you’ll sharpen your DIY chops in the process. Read the instructions (duh!). 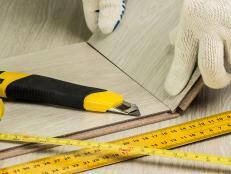 If your flooring product doesn’t come with installation guidelines, get the instructions from the manufacturer’s website. Check YouTube videos on the subject, and get familiar with the process. Buy the right tools. Most instructions include a tool list, so don’t short-change yourself there. After all, you’re saving money on the install, right? Rent specialty tools from your local rent-it shop, and ask the manager how to properly operate the tool. Know your subfloor. In most cases it’s either wood or concrete — each has dos and don’ts when it comes to choosing the right flooring. Some flooring installations are tailor-made for a do-it-yourselfer, but some are trickier than you might think. Here’s a quick primer on where your skill levels need to be for various flooring installation projects. Where to put it: Laminate floors can go in any room over a clean, dry subfloor. The plastic-coated planks are slippery when wet, so laminate isn’t a good choice for bathrooms and laundry rooms. You can install a floating floor system over existing floors that are flat and in good condition. 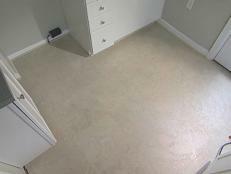 DIY level: A laminate floor installation with a floating floor system is very DIY-friendly. You’ll need some patience and skill to negotiate doorways. 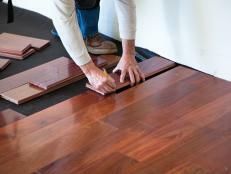 Where to put it: Solid hardwood strip flooring should be installed over a clean, dry wood subfloor. Avoid bathrooms, laundry rooms, and below-grade basements. DIY level: Once you get the hang of it, nailing down hardwood flooring with a rented flooring nail gun goes smoothly. Your biggest challenge is keeping rows straight—check manufacturer’s and YouTube videos for pro tricks on dealing with warped boards. Where to put it: Engineered wood planks have laminate construction so they’re not affected by changes in humidity. You can put it in any room, including dry below-grade basements, but it’s wise to avoid bathrooms and laundry rooms where spills or minor flooding might occur. DIY level: Engineered wood flooring comes as both a glue-down, nail-down, and floating floor system featuring planks with snap-together edges. For the easiest install, DIYers should go with the floating floor. 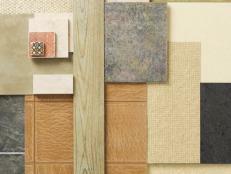 Where to put it: Ceramic tile can go in any room. It’s a beautiful, waterproof floor but it’s cold and hard underfoot, so it isn’t the best choice for bedrooms and kids’ playrooms. It should be installed over a clean, dry subfloor that’s covered with cement-based tile backer board. DIY level: Setting ceramic floor tile requires moderate to high levels of DIY skill, especially when it comes to notching tile around obstacles. 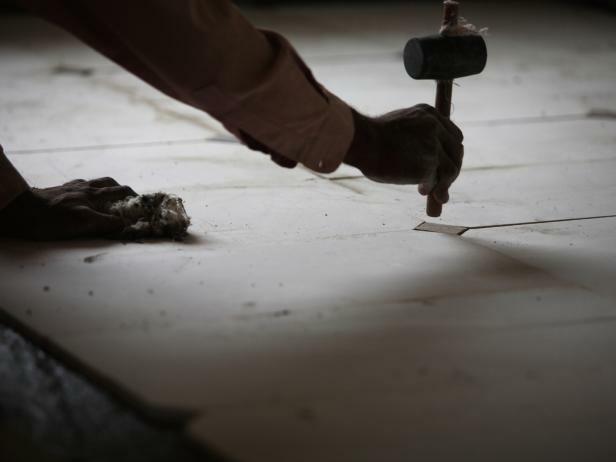 Laying out the design and understanding how to start off a ceramic tile floor installation are keys to success, so due diligence with how-to instructions are essential. Smart planning and prep make this DIY-friendly material even easier to install. Is this the ideal flooring product? Good prep and a straight first row are keys to success. 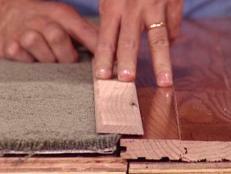 Get tips for installing threshold transitions between different types of flooring and carpet for a finished look. 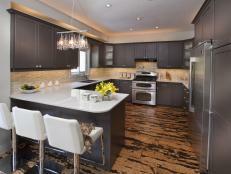 Cork flooring has many specialized attributes — but is it the right choice for you? 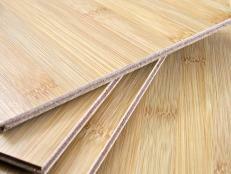 Bamboo flooring has been touted as the environmentally-friendly choice — but is it really green? 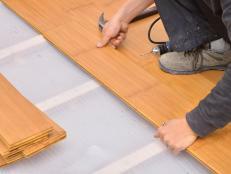 Knowing some bamboo flooring pros and cons helps installation go smoothly.